It's the perfect go-anywhere reg for both new divers and veterans who like to keep their diving simple and fun. The MK2 EVO/R195 is the perfect go-anywhere reg for divers looking for simplicity and reliability at a price that won't bust the budget. The MK2 EVO comes with SCUBAPRO's patented Extended Thermal Insulating System (XTIS) that lets you enjoy an ultra-fast breathing response and maximum airflow with minimal effort -- regardless of how cold the water is. The XTIS makes this possible by fully isolating the mechanical elements of the first stage from the cold, increasing freezing resistance by an average of 50 percent over the previous MK2 first stage. The MK2 EVO is the only downstream piston-style first stage with internal components specifically designed to resist freezing in extreme cold-water conditions. It is also ultra compact, yet it has a bigger piston that pumps out 15 percent more airflow from a smaller package. So you can expect top-notch breathing performance whether you're reef diving in the warm Caribbean or wreck diving in the chilly Great Lakes. The R195 is a modern second stage design based on the heritage of the time-honored R190. The R195combines a classic downstream valve with a large diaphragm, functional purge button and VIVA switch for smooth and easy operation. The MK2 EVO/R195 is a proven reg system, reliable, easy to maintain and easy to use. 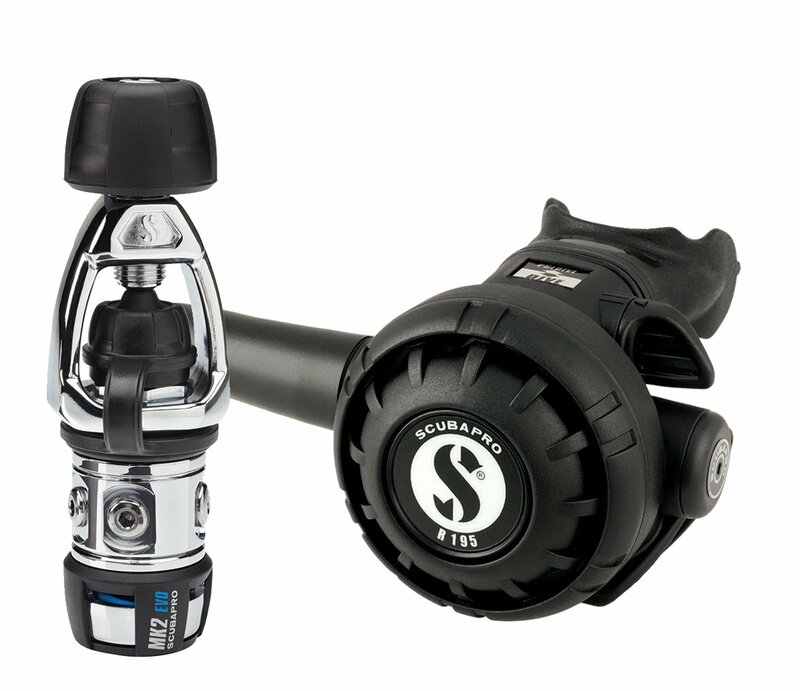 Plus, with its left or right hose routing capability, it's also the perfect system for use on stage or pony bottles. For new divers as well as veterans looking for an economical regulator that's dependable and that can handle all water temperatures, the MK2 EVO/R195 is not only the best choice, it's the only choice.